Reminder: Hollywood clean up will take place on March 14 , 2017 at 9:00 am (weather permitting). If bad weather, watch for an alternative date. Thank you, Jim T.
A question from our Graves & Monuments Committee, Can anyone tell me what to spray on this moss? 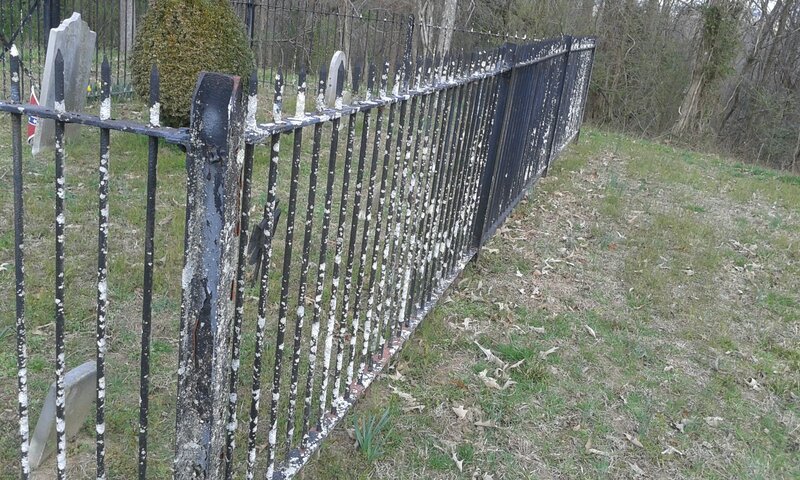 Also what will keep it off the fence at the Edmond Ruffin grave site?